The London Summit is all about innovation, education, and creating new business. As cryptocurrencies take the financial services sector by storm, London Summit 2018 will dedicate a unique area for the emerging digital asset class. The sleek Vault floor will bring together the crypto community leaders, prominent exchanges, and savvy traders for a top-notch gathering. 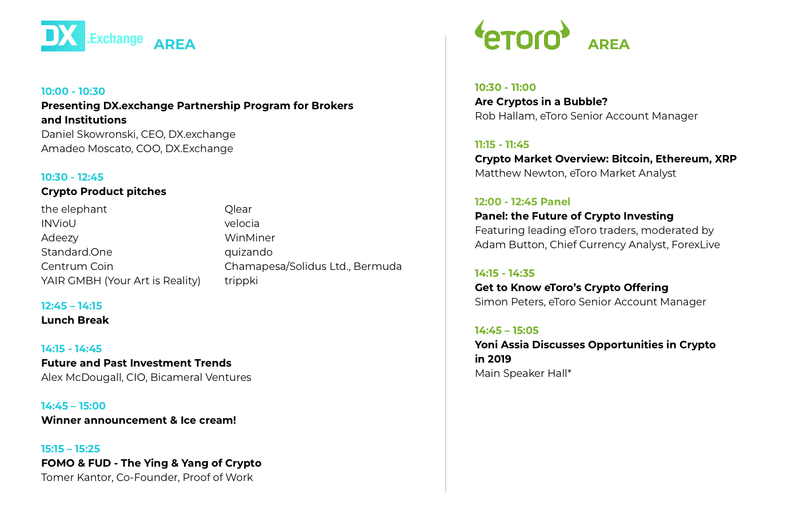 On the Crypto Trading Floor, you will hear about the hottest opportunities, gain access to both hands-on educational sessions and market outlooks by the most prominent industry players, and network with equally avid crypto believers. The entrance to the Crypto Trading Floor will be through Old Billingsgate’s side entrance, directly to the Vault floor. Crypto industry attendees should note that entrance to London Summit’s upper exhibition floor may incur a fee. To enjoy the full Summit experience, contact our team at sales@financemagnates.com.